The Saints: who are they? 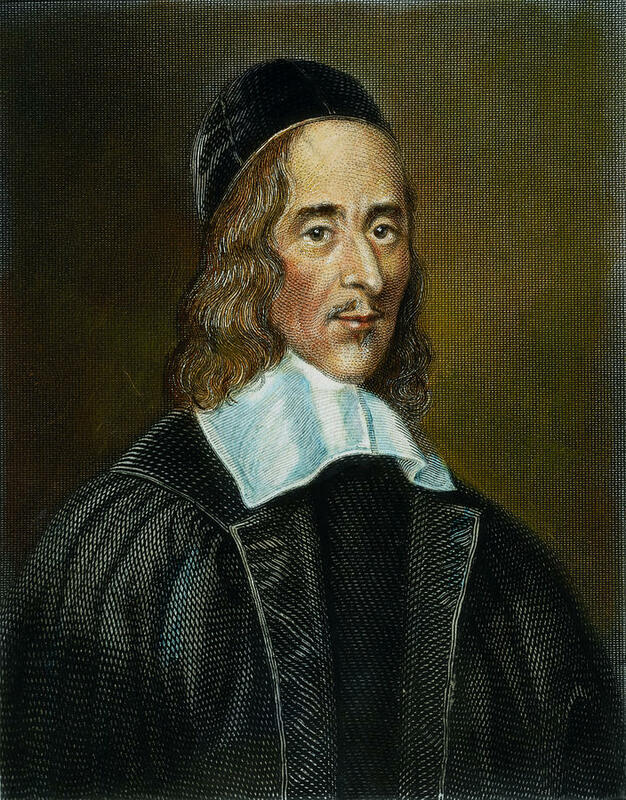 George Herbert was born in 1593, a member of an ancient family, younger brother of Edward, Lord Herbert of Cherbury, a philosopher and poet. The younger Herbert received his education at Westminster School and Trinity College, Cambridge, where his classical scholarship secured him a Fellowship in 1614. He became Public Orator of the University in 1620, bringing him into contact with the Court of King James the First. Marked by his success for the career of the courtier, the death of King James and the influence of his friend, Nicholas Ferrar, led him to study divinity, and in 1626 he took holy orders. In 1630 he was ordained to the presbyterate and was persuaded by (then Bishop) William Laud to accept the rectory of Fugglestone with Bemerton, near Salisbury, where in humble devotion to duty he spent the rest of his life. Herbert is portrayed by his biographer Izaak Walton as a model of the saintly parish priest. Unselfish in his devotion and service to others, Walton writes that many of Herbert’s parishioners “let their plow rest when Mr Herbert’s saints-bell rung to prayers, that they might also offer their devotion to God with him.” His most famous prose work, A Priest in the Temple; or The Country Parson describes a well-balanced ideal of the English parish priest. Herbert portrays the parson as a well-read divine, temperate in all things, a man of duty and prayer, and devoted to his flock, providing a model for future generations of clergy. Our God and King, you called your servant George Herbert from the pursuit of worldly honors to be a pastor of souls, a poet, and a priest in your temple: Give us grace, we pray, joyfully to perform the tasks you give us to do knowing that nothing is menial or common that is done for your sake; through Jesus Christ our Lord, who lives and reigns with you and the Holy Spirit, one God, for ever and ever. Amen. The propers for the commemoration of George Herbert, Priest, are published on the Lectionary Page website. 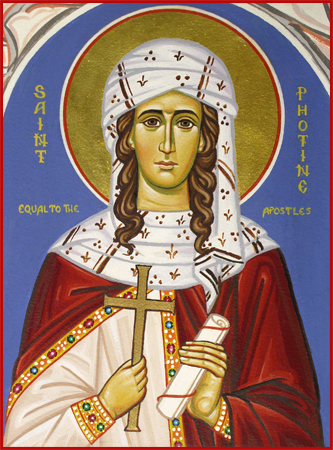 In the Orthodox Churches of the East, the Samaritan Woman, traditionally known as Saint Photini, is commemorated on February 26. According to Eastern tradition, after her life-changing encounter with the Lord Jesus at Jacob’s Well narrated in the fourth chapter of the Gospel according to Saint John, the Samaritan Woman was baptized on the day of Pentecost and received the name Photini (Latin, Photina), meaning “the enlightened one”. She thereafter labored in the spread of the Gospel in various places, finally receiving the crown of martrydom in Rome with her two sons and five sisters during the Neronian persecutions. In Greek sermons from the fourth through the fourteenth centuries, she is called “apostle” and “evangelist”, and in Orthodox tradition is called, like Mary Magdalene, isapostolos: equal to the Apostles. Almighty God, as the Samaritan woman drank with great and ardent longing of the waters Christ the Savior gave to her: Grant us so to drink of this living water, that we may in this life be faithful in proclaiming him who is the Messiah, and in the life to come gain everlasting life and glory; through Jesus Christ our Lord, who lives and reigns with you and the Holy Spirit, one God, now and for ever. Amen. In the nine days of waiting between the Lord’s Ascension and the Day of Pentecost, the disciples remained together in prayer. During this time, Peter reminded them that the defection and death of Judas had left the fellowship of the Twelve with a vacancy. The Acts of the Apostles records Peter’s proposal that “one of the men who have accompanied us during all the time that the Lord Jesus went in and out among us, beginning from the baptism of John until the day when he was taken up from us – one of these must become a witness with us to his resurrection” (Acts 1:21-22). Two men were nominated: Joseph, called Barsabbas who was surnamed Justus, and Matthias. After prayer, the disciples cast lots, and the lot fell to Matthias, who was then added to the eleven Apostles. Nothing further is told of Matthias after his selection. The accounts of his ministry and death are vague and contradictory. Nicephorus, a medieval Byzantine historian, writes that Matthias first preached the Gospel in Judea, then in Colchis on the Black Sea ( in what is now Georgia), and that he was crucified there. A marker placed in the ruins of a Roman fort at Apsaros in the Georgian region of Adjara claims that Matthias is buried at the site. The Synopsis of Dorotheus and an extant Coptic Acts place his evangelistic work in Ethiopia (which Nicephorus treats as a synonym for Colchis). Another tradition holds that he was stoned to death at Jerusalem and afterwards beheaded (hence his being depicted in Western iconography with an executioner’s axe). Helen, mother of Constantine, is said to have brought the relics of Saint Matthias to Rome, though the apostle may have been confused with another Matthias, an early second century bishop of Jerusalem. The traditions are unanimous in depicting Matthias as an exemplary apostle. He seems an appropriate example to Christians of one whose faithful companionship with Jesus qualifies him to be a suitable witness to the resurrection, and whose service is unheralded and unsung. Almighty God, who in the place of Judas chose your faithful servant Matthias to be numbered among the Twelve: Grant that your Church, being delivered from false apostles, may always be guided and governed by faithful and true pastors; through Jesus Christ our Lord, who lives and reigns with you, in the unity of the Holy Spirit, one God, now and for ever. Amen. but he honors those who fear the LORD. and does not take back his word. Brothers, I do not consider that I have made it my own. But one thing I do: forgetting what lies behind and straining forward to what lies ahead, I press on toward the goal for the prize of the upward call of God in Christ Jesus. Let those of us who are mature think this way, and if in anything you think otherwise, God will reveal that also to you. Only let us hold true to what we have attained. Brothers, join in imitating me, and keep your eyes on those who walk according to the example you have in us. For many, of whom I have often told you and now tell you even with tears, walk as enemies of the cross of Christ. Their end is destruction, their god is their belly, and they glory in their shame, with minds set on earthly things. But our citizenship is in heaven, and from it we await a Savior, the Lord Jesus Christ, who will transform our lowly body to be like his glorious body, by the power that enables him even to subject all things to himself. [Jesus said] “I am the true vine, and my Father is the vinedresser. If anyone does not abide in me he is thrown away like a branch and withers; and the branches are gathered, thrown into the fire, and burned. If you abide in me, and my words abide in you, ask whatever you wish, and it will be done for you. By this my Father is glorified, that you bear much fruit and so prove to be my disciples. As the Father has loved me, so have I loved you. Abide in my love. If you keep my commandments, you will abide in my love, just as I have kept my Father’s commandments and abide in his love. These things I have spoken to you, that my joy may be in you, and that your joy may be full. “This is my commandment, that you love one another as I have loved you. Greater love has no one than this, that someone lay down his life for his friends. You are my friends if you do what I command you. No longer do I call you servants, for the servant does not know what his master is doing; but I have called you friends, for all that I have heard from my Father I have made known to you. You did not choose me, but I chose you and appointed you that you should go and bear fruit and that your fruit should abide, so that whatever you ask the Father in my name, he may give it to you. The scripture texts for the Lesson, the Epistle, and Gospel are taken from the English Standard Version Bible. The Collect and Psalm are taken from the Book of Common Prayer (1979). 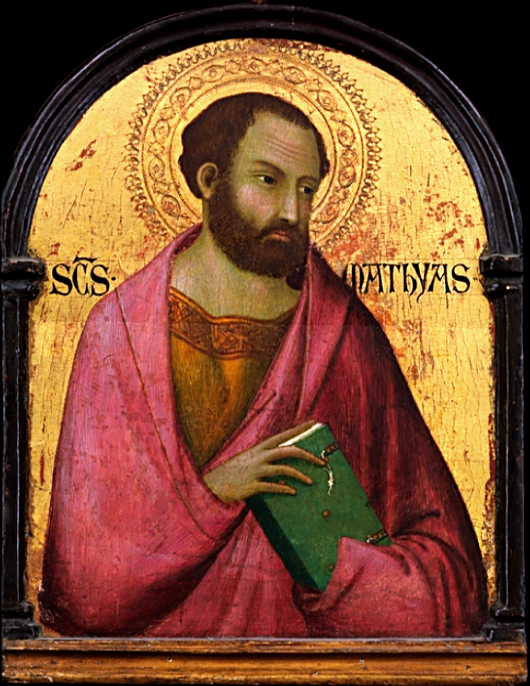 The icon of Saint Matthias is from the workshop of Simone Martini, 14th century. Polycarp was one of the leaders of the Church who carried on the tradition of the apostles through the troubled period of Gnostic heresies in the second century. According to Irenaeus, bishop of Lyons, who had known him in his early youth, Polycarp was a disciple of John the Apostle, and had been appointed a bishop by “apostles in Asia”. Polycarp is traditionally believed to be the “angel of the church in Smyrna” addressed in Revelation 2:8-11. We possess a letter from Polycarp to the Church in Philippi, whose text reveals his firm adherence to the faith and his pastoral concern for fellow Christians in trouble. May God and the Father of our Lord Jesus Christ, and the eternal High Priest himself, the Son of God, Jesus Christ, further your growth in faith and truth and in meekness that is perfect and without a vestige of resentment, as well as in patient endurance and long-suffering and perseverance and purity. May he also grant perfect fellowship with his saints to you, and along with you, to us, and indeed to all who are under heaven and destined to believe in our Lord Jesus Christ and his Father, who has raised him from the dead. Pray for all the saints. Pray also for kings and magistrates and rulers, and for such as persecute and hate you, as well as for the enemies of the Cross. Thus all will come to see how well you are doing, and you will be perfect in him. Anicetus could not persuade Polycarp to forgo the [Quartodeciman] observance inasmuch as these things had been always observed by John the disciple of the Lord, and by other apostles with whom he had been conversant; nor did Polycarp persuade Anicetus to keep it: Anicetus said that he must hold to the way of the elders before him. Neither Polycarp nor Anicetus could persuade the other of the correctness of his reckoning, but they did not consider it sufficient cause to justify a schism. Indeed, Irenaeus tells us that Anicetus conceded to Polycarp in Church the celebration of the Eucharist, by way of showing him respect, and the two parted in peace with the matter unsettled. An authentic account of the martyrdom of Polycarp on February 23 is also preserved, written from the account of an eyewitness named Marcion (not to be confused with the second-century heretic of the same name). The martyrdom probably occurred in the year 156. The account tells of Polycarp’s courageous witness in the amphitheater at Smyrna. When the proconsul asked him to curse Christ, Polycarp said, “Eighty-six years I have served him, and he never did me any wrong. How can I blaspheme my King who saved me?” The account reports that the magistrate was reluctant to kill the gentle old man, but his hand was forced by the mob, who clamored that he be thrown to wild beasts, as was the fate of other Christians on that dreadful day. Lord God Almighty, Father of your beloved and blessed child Jesus Christ, through whom we have received knowledge of you, God of angels and hosts and all creation, and of the whole race of the upright who live in your presence, I bless you that you have thought me worthy of this day and hour, to be numbered among the martyrs and share in the cup of Christ, for resurrection to eternal life, for soul and body in the incorruptibility of the Holy Spirit. Among them may I be accepted before you today, as a rich and acceptable sacrifice, just as you, the faithful and true God, have prepared and foreshown and brought about. For this reason and for all things I praise you, I bless you, I glorify you, through the eternal heavenly high priest Jesus Christ, your beloved child, through whom be glory to you, with him and the Holy Spirit, now and for the ages to come. Amen. The propers for the commemoration of Polycarp, Bishop of Smyrna and Martyr, are published on the Lectionary Page website. On 6 January 1948 a young school teacher, Janani Luwum, was converted to the charismatic Christianity of the East African Revival, in his own village in Acholiland, Uganda. At once he turned evangelist, warning against the dangers of drink and tobacco, and, in the eyes of local authorities, disturbing the peace. But Luwum was undeterred by official censure. He was determined to confront all who needed, in his eyes, to change their ways before God. In January 1949 Luwum went to a theological college at Buwalasi, in eastern Uganda. A year later he came back a catechist. In 1953 he returned to train for ordination. He was ordained deacon on St Thomas’s Day, 21 December 1955, and priest a year later. His progress was impressive: after two periods of study in England, he became principal of Buwalasi. Then, in September 1966, he was appointed Provincial Secretary of the Church of Uganda, Rwanda, Burundi and Boga-Zaire. It was a difficult position to occupy, and these were anxious days. But Luwum won a reputation for creative and active leadership, promoting a new vision with energy and commitment. Only three years later he was consecrated bishop of Northern Uganda, on 25 January 1969. The congregation at the open-air services included the prime minister of Uganda, Milton Obote, and the Chief of Staff of the army, Idi Amin. Amin sought power for himself. Two years later he deposed Obote in a coup. In government he ruled by intimidation, violence and corruption. Atrocities, against the Acholi and Langi people in particular, were perpetrated time and again. The Asian population was expelled in 1972. It was in the midst of such a society, in 1974, that Luwum was elected Archbishop of Uganda, Rwanda, Burundi and Boga-Zaire. He pressed ahead with the reform of his church in time to mark the centenary of the creation of the Anglican province. But he also warned that the Church should not conform to ‘the powers of darkness’. Amin cultivated a relationship with the archbishop, arguably to acquire credibility. For his part, Luwum sought to mitigate the effects of his rule, and to plead for its victims. The Anglican and Roman Catholic churches increasingly worked together to frame a response to the political questions of the day. On 12 February 1976 Luwum delivered a protest to Amin against all acts of violence that were allegedly the work of the security services. Church leaders were summoned to Kampala and then ordered to leave, one by one. Luwum turned to Bishop Festo Kivengere and said, ‘They are going to kill me. I am not afraid’. Finally alone, he was taken away, tried by a kangaroo court, and executed on February 17, 1977. His body was buried later near St Paul’s Church, Mucwini. O God, whose Son the Good Shepherd laid down his life for the sheep: We give you thanks for your faithful shepherd, Janani Luwum, who after his Savior’s example gave up his life for the people of Uganda. Grant us to be so inspired by his witness that we make no peace with oppression, but live as those who are sealed with the cross of Christ; who died and rose again, and now lives and reigns with you and the Holy Spirit, one God, for ever and ever. Amen. The propers for the commemoration of Janani Luwum, Archbishop and Martyr, are published on the Lectionary Page website. The image is of a statue of Blessed Janani Luwum sculpted by Neil Simmons for the Martyrs Wall of Westminster Abbey. Cyril and Methodius, brothers born in Thessalonika, are honored as apostles to the southern Slavs and as the founders of Slavic literary culture. Cyril, who was originally named Constantine, was a student of philosophy and a deacon who eventually became a missionary monastic. 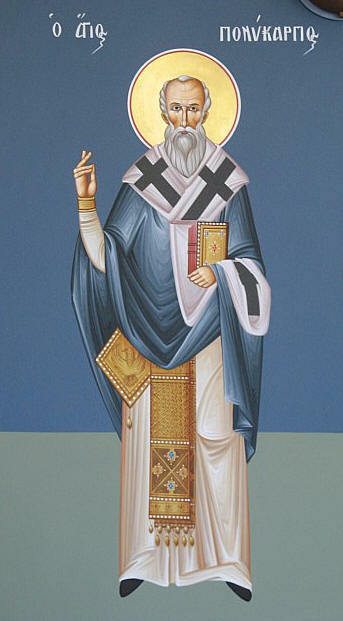 Methodius was first the governor of a Slavic colony, then turned to the monastic life, and was later elected abbot of a monastery in Constantinople. In 862, the king of the Moravians asked for missionaries who would teach his people in their native language. 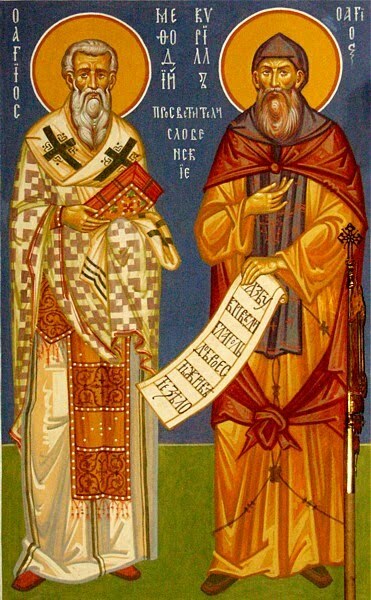 Since both Cyril and Methodius knew Slavonic, and both were learned men – Cyril was known as “the Philosopher” – the Patriarch of Constantinople chose them to lead the mission. As part of his task among the Moravians, Cyril invented an alphabet to transcribe the native tongue, probably the glagolitic, in which Slavo-Roman liturgical books in Russian and Serbian are still written. The Cyrillic alphabet is thought to have been originated by Cyril’s followers. Pressures by the German clergy, who opposed the brothers’ teaching, preaching, and writing in Slavonic, and the lack of a bishop to ordain new presbyters for their people, caused the two brothers to seek foreign help. They found a warm welcome at Rome from Pope Adrian the Second, who determined to ordain both men bishops and approved the Slavonic liturgy. Cyril died in Rome and was buried there. Methodius, now a bishop, returned to Moravia as Metropolitan of Sirmium. Methodius, still harassed by German bishops, was imprisoned at their behest. Eventually, Pope John the Eighth released him, on the condition that Slavonic, “a barbarous language,” be used only for preaching. Later, the enmity of the Moravian prince caused Methodius to be recalled to Rome on charges of heresy. Papal support again allowed him to return to Moravia and to use Slavonic in the liturgy. Almighty and everlasting God, by the power of the Holy Spirit you moved your servant Cyril and his brother Methodius to bring the light of the Gospel to a hostile and divided people: Overcome all bitterness and strife among us by the love of Christ, and make us one united family under the banner of the Prince of Peace; who lives and reigns with you and the Holy Spirit, one God, now and for ever. Amen. The propers for the commemoration of Cyril and Methodius, Monk and Bishop, Missionaries to the Slavs, are published on the Lectionary Page website. Absalom Jones was born into slavery in 1746 in Delaware. He taught himself to read from the New Testament, among other books. At sixteen, he was sold to a store owner in Philadelphia, where he attended a night school for African Americans, operated by the Quakers. At twenty, he married another slave and purchased her freedom with his earnings. Jones bought his own freedom in 1784. He subsequently became involved with St George’s Methodist Episcopal Church, where he served as a lay minister for its African American membership. The active evangelism of Jones and of his friend, Richard Allen, greatly increased that community’s membership at St George’s, where the vestry, alarmed at the greatly increased Black membership, decided to segregate them into an upstairs gallery without notifying them. During a Sunday service when the ushers attempted to remove them, the African Americans walked out en masse. In 1787, African American Christians organized the Free African Society, the first organized African American society in the United States, and Absalom Jones and Richard Allen were elected overseers. Membership of the Society paid monthly dues for the benefit of those in need. The Society established communications with similar associations in other cities, and in 1792, the Society began construction of a church in Philadelphia, which was dedicated on July 17, 1794. The African Church applied for membership in the Episcopal Diocese of Pennsylvania on the following conditions: 1) that they be received as an organized body; 2) that they have control over their own parochial affairs; 3) that Absalom Jones be licensed as Lay Reader, and if qualified, be ordained as minister. In October 1794 the church was admitted as St Thomas African Episcopal Church. Bishop William White ordained Jones to the diaconate in 1795, and to the presbyterate in 1804. Jones was an earnest preacher. He denounced slavery, and warned the oppressors to “clean their hands of slaves”. To him, God was the Father who always acted on “behalf of the oppressed and distressed”. But it was his pastoral care, his constant visitation and mild manner that made him beloved by his parish and by the community. St Thomas Church grew to over five hundred members during its first year. Known colloquially as “the Black Bishop of the Episcopal Church”, Jones was a example of persistent faith in God and in the Church as God’s instrument. Jones died on this day in 1818. Jones friend, Richard Allen, who with Jones was one of the first African Americans to be licensed as preachers by the Methodist Episcopal Church, followed a parallel path. Allen and his congregation converted a blacksmith shop in Philadelphia into a church that was dedicated on July 29, 1794 as Bethel African Methodist Episcopal Church. In 1799, Allen was ordained as the first African American elder in the Methodist Church by Bishop Francis Asbury. In 1816, Allen gathered four African American Methodist congregations in Pennsylvania, Delaware, New Jersey, and Maryland to establish the African Methodist Episcopal Church, the first autonomous black Church in Methodism. In 1816, Allen was elected the Church’s first bishop. He died in 1831. Set us free, heavenly Father, from every bond of prejudice and fear; that, honoring the steadfast courage of your servant Absalom Jones, we may show forth in our lives the reconciling love and true freedom of the children of God, which you have given us in your Son our Savior Jesus Christ; who lives and reigns with you and the Holy Spirit, one God, now and for ever. Amen. The propers for the commemoration of Absalom Jones, Priest, are published on the Lectionary Page website. 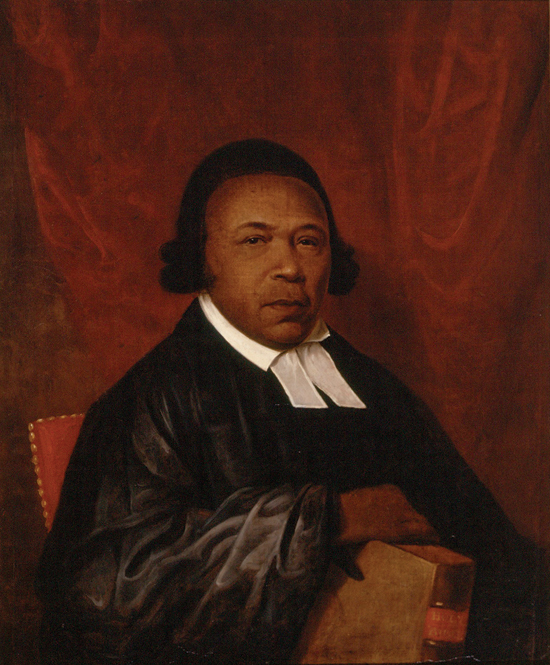 The image of Absalom Jones is taken from the portrait by Raphaelle Peale. O God, the King of saints, we praise and glorify your holy Name for all your servants who have finished their course in your faith and fear: for the blessed Virgin Mary; for the holy patriarchs, prophets, apostles, and martyrs; and for all your other righteous servants, known to us and unknown; and we pray that, encouraged by their examples, aided by their prayers, and strengthened by their fellowship, we also may be partakers of the inheritance of the saints in light; through the merits of your Son Jesus Christ our Lord.